Most whiplash occurs as a result of car accidents but can happen whenever there’s a sudden force that causes the abrupt forward-backward “whipping” of the head at the top of the spine. It commonly results in pain, discomfort and immobility but can also be severe enough to cause damage to the spinal cord or tears to the ligaments of the vertebrae. 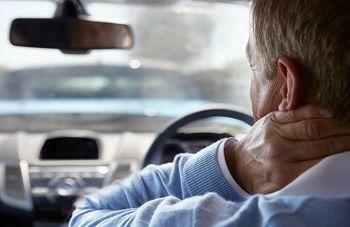 Fortunately, most whiplash is treatable using a non-invasive approach consisting of rest, manual therapy and exercise. The staff at Dr. Ibolit Chiropractic, Physical Therapy & Massage can help patients through every stage of whiplash recovery. From the initial treatment plan and assessment to the prescribed exercises and recovery, we regularly guide patients to full pre-injury status. Combining experience with diagnostic imaging tools, our chiropractors can precisely determine the extent of your whiplash injury. If the injury is limited to loss of mobility, the first step is to simply allow healing to occur. Massage is crucial for seeing patients through to a full recovery. Among the important tools needed to fully recover from whiplash is massage. Immediately following the injury, your body responds by promoting bloodflow to the affected region – the neck. This is what causes your neck to become stiff and inflamed. Our physical therapists will recommend safe and effective treatment for your whiplash. Through a series of on-site and at-home exercises, our patients are guided through the process of regaining mobility and strength in their necks. 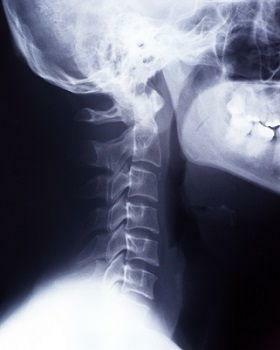 Your body responds to whiplash with the “opposite” of the event. Muscles tense up, range of motion is all but eliminated and the cervical spine is guarded from further damage. This is the body’s natural healing response to an event as serious as whiplash. The goal of our clinic is to ease the body out of its natural response to whiplash. With a tailored approach to treatment, we can guide your whiplash recovery towards full pre-injury status. A lot of patients ask, is it safe to get a neck adjustment after whiplash? Manual manipulation of the cervical column is usually not the first thing the neck needs after whiplash. While we encourage mobility as early on as possible, an adjustment is not usually needed until an appropriate period of rest has occurred. Treating whiplash consists of giving the injury plenty of time to heal and then, when it’s safe, begin the process of restoring mobility and strength to the neck. With a conservative but targeted approach to treatment, we can help you meet consistent benchmarks toward recovery without the reinjury. Let us check your neck. With a long record of care and every tool we need to help our patients, we pride ourselves on being able to help everyone who comes in from their very first visit. 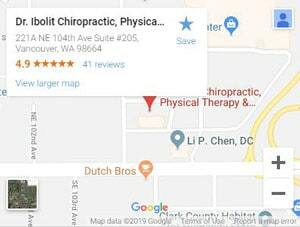 © 2019 Dr. Ibolit Chiropractic, Physical Therapy & Massage. All Rights Reserved.